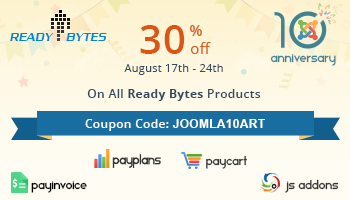 It's August 2015, and Joomla! is 10 years young now. It's a lot of hard work of thousands of people over the past 10 years to create million websites running Joomla! to change the world. Ten years of Joomla may be just a blink of an eye in human history, but it's one of the greatest time of our lives, the Joomla community. Words can't describe our feelings! This is an enormous event. We have the first 10 years and foresee many years ahead. Happy 10th anniversary of Joomla! 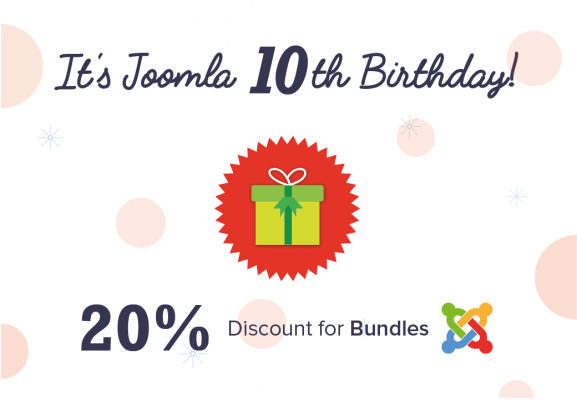 Today on Joomla 10th anniversary, everyone is offering discounts and here is ours and from our friends. Enjoy 30% discount on all subscriptions. 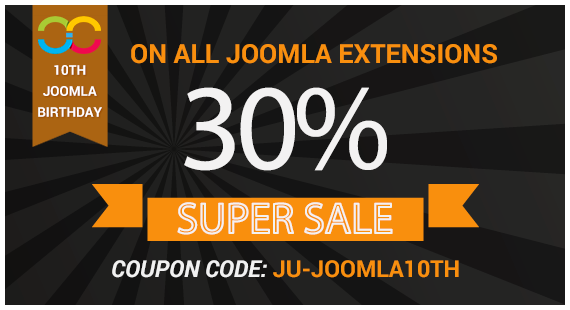 Coupon JOOMLA10ART. Valid until 24th August 2015.